The former home of the Atlanta Braves, Turner Field is situated about two miles from Downtown Atlanta. It can be a challenge to find good places to eat nearby, but we rounded up some of the best options that are still hanging around the neighborhood, even though the Braves have moved to a new stadium across town. Here are some bars and restaurants near (or close by) the Turner Field area of Atlanta. The closest establishment to Turner Field, Bullpen Rib House is a barbecue joint known for its slow-smoked ribs. The Bullpen has lunch, dinner and a full bar, and advertises "moonshine" on its website. Underground Atlanta, the open air shopping district is a bit of a walk from Turner's Field but has some hidden dining gems. One longtime favorite is Rosa's Pizza. Here you'll find no-frills New York-style pizza, with gluten-free and vegetarian options. Note that Rosa's is not open for dinner; hours are Monday through Friday, 11 a.m. to 6 p.m. and Saturday 11 a.m. to 4 p.m.
With several locations in the Atlanta area, Tin Lizzy's is a Georgia (and South Carolina) staple for Mexican food, best known for their guacamole and churrasco. The Memorial Drive location is a short drive from Turner's Field. 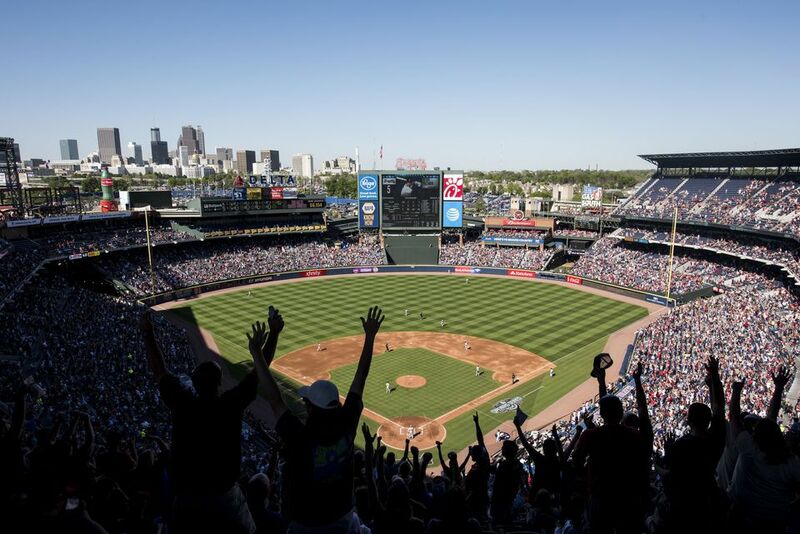 Turner's Field is not far from Peachtree Center, which also has dozens of fine restaurants. One is Meehan's, a proper Irish pub that offers everything from brunch to late-night dining. Meehan's isn't just your typical pub food, however. The menu aspires to the gourmet dinner, with dishes like truffle mac and cheese, and the traditional bangers and mash. Alma offers authentic Mexican fare, including roasted chicken mole Oaxaca and carnitas tacos. They're open for dinner every night and for lunch Monday through Friday. This no-frills bar is popular with carnivores, and has a casual space but is not a dive bar by any stretch of the imagination. TDH bills itself as a barbecue fusion place, and it's well-known for its smoked meats. Bonus feature: It has a rooftop deck with views of the city. In addition to being a popular bar and eatery, Republic is a place to play all manner of games, including ring toss, Jenga, and trivia. They bring in live DJs from around the Atlanta area. The menu is not too shabby, either, with burgers, tacos, flatbreads and the must-try Nashville Hot Chicken. With a menu that features dishes that blend Mexican and southern cuisines, Agave has some of the finest margaritas in Atlanta. It's a good date spot in the Cabbagetown neighborhood, about two miles from Turner Field. The enormous portions at Daddy D'z are among the reasons it's consistently rated one of the best barbecue restaurants in Atlanta. It doesn't look like much on the outside (their slogan is "We Ain't Pretty But We're Good"), but the meat is slow-cooked on a hickory and oak pit by hand, creating an unforgettable and unbeatable flavor.